Jacquemus - Jacquemus's white cotton-blend Alassio dress displays the label's signature sultry draping. 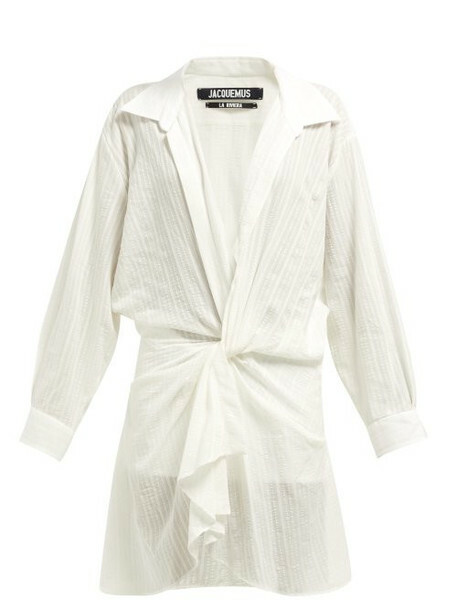 It's crafted with an element of breathable linen that's perfect for the summer months and shaped with a deep V-neckline that leads to a statement knotted front. Team it with vibrant mules for a beachside soirée.